Schalksmühle, 4 October 2018. Modern printed circuit boards are often realized in highly-productive, budget-friendly Surface Mount Technology (SMT). 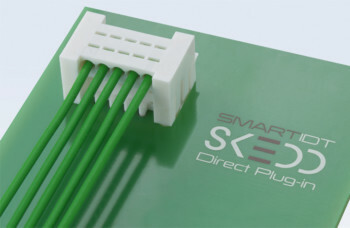 This system places connectors with other surface mountable components onto imprinted solder paste, followed by reflow soldering. 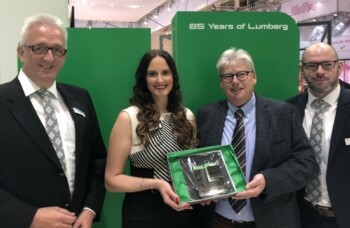 To safely accommodate connectors with one- and double-sided keying the RAST specialist Lumberg has now added a RAST 2.5 plus pin header in SMT to its delivery program. Lumberg’s plus range for the RAST system offers double-sided keying which provides for extended keying options compared to one-sided contacts. The new upright pin header has been specifically designed for Surface Mount Technology (SMT) – a process which is particularly suitable for automated PCB assembly and, depending on the project, is more economical than Through-Hole-Technology (THT). The pin header comes with between 3 and 11 pins. The different materials and contact surfaces cater to higher reflow temperatures and are suited for peak temperatures ranging between -40 and 140 °C. Naturally, the material is glow wire resistant (GWT 750 °C) and therefore also suitable for use in unsupervised devices, as described in certain standards. 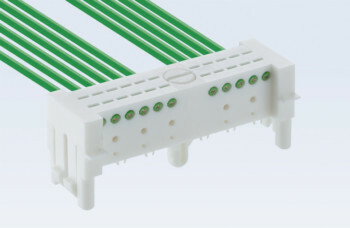 Pin headers with 2.5 or 5 mm contact spacing are available with both exterior locking and interior locking, which is even suitable for bus cables, and come with a bar feeder or reel. Additionally, the pin header features one or optionally, two positioning spigots for safe orientation. The geometry, mass and center of gravity are of automation-friendly design. 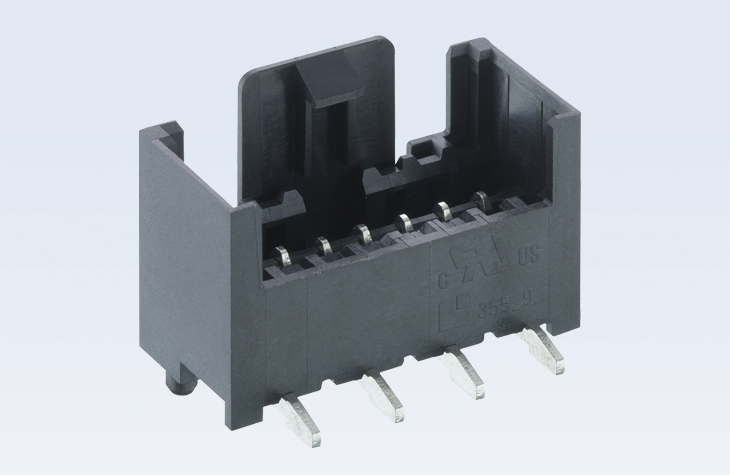 For signal and load currents of up to 4 A at Tamb 60 °C the pin header in SMT is designed for a rated voltage of 250 V AC with 2.5 mm spacing, or 500 V AC with 5 mm spacing for an insulation resistance of > 1 giga-ohm, with contact males in CuZn, nickel-plated and tin-plated. 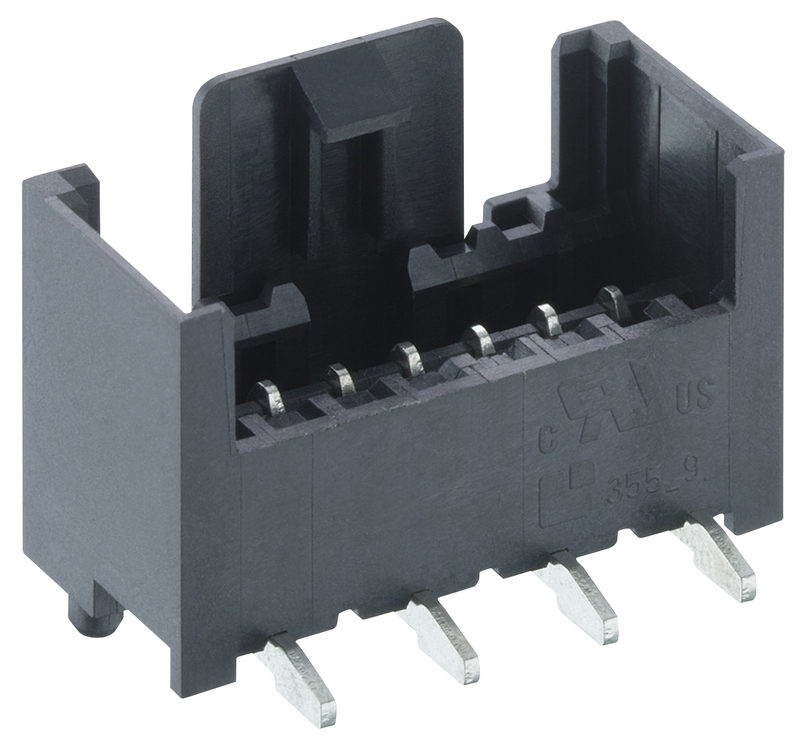 Standard RAST 2.5 connectors in Insulation Displacement Technology from Lumberg’s renowned Series 35, such as the top-selling 3521 and naturally also its RAST 2.5 plus 352100 connectors, make for an ideal pin header contact. Compatibility with all marketable RAST 2.5 systems is a given.